Governor Scott announcing proposed tax cuts for Floridans. 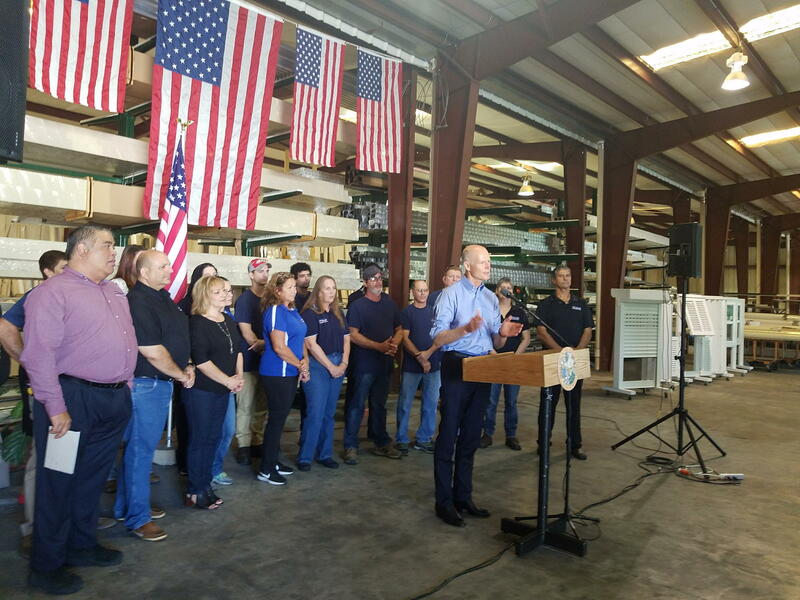 Governor Rick Scott announced a new tax cut proposal in Fort Myers on Monday. Speaking at Alufab, a local window installation company, Scott said he’s proposing $180 million dollars in tax cuts for Floridians. Part of the cuts would come from sales tax holidays for back to school shopping and preparing for hurricanes. He also wants to reduce the fee to get a driver’s license. He said cutting taxes generates more money. Scott said he wants to have a ballot initiative that would make it more difficult for Florida legislators to raise taxes and fees. Last month the governor proposed more funding for the environment. 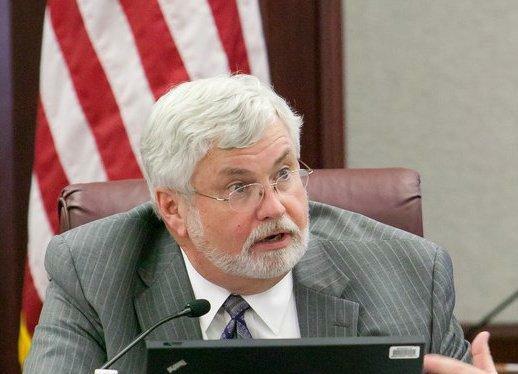 Despite Scott’s calls for tax cuts and increased spending, experts with Florida’s office of Economic and Demographic Research project lawmakers will be facing a budget shortfall when they convene the 2018 legislative session in January. Scott also took time to condemn sexual assault amid allegations of harassment by Florida legislators. Scott said as a family man, he wouldn’t want anyone violating his loved ones. And he said politicians should be held to the highest standards of society. “If anybody has done anything wrong, they need to be out of office,” Scott said. The governor says the idea of elected officials being sexual harassers is “disgusting”. A powerful Republican state senator and candidate for governor will be investigated by the Senate after a report came out that said he had harassed and groped women during his time in office. Florida Gov. 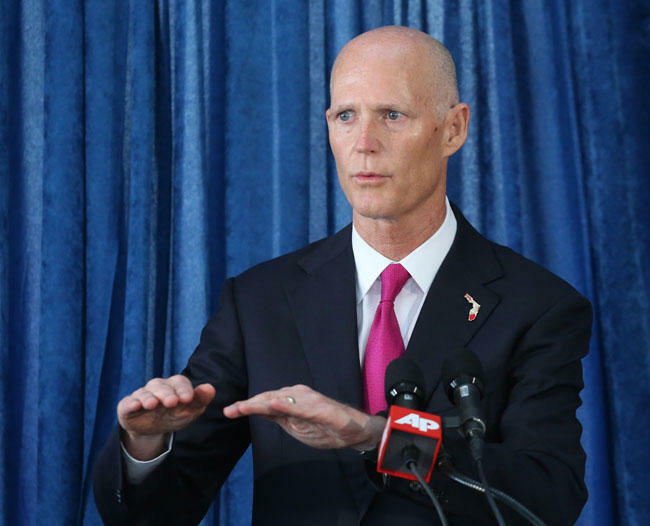 Rick Scott during his final year in office wants fees and taxes cut by $180 million.